Overall, this Coach appears to be in good shape! Don't let a little exterior dirt fool you! The storage yard is a bit dusty but the RV itself is in good order. There is some exterior oxidation and decal fading due to age/weather wear but much of that can be restored with a buff and wax. Recent maintenance by current owner: -Resealed Roof -Resealed All Windows -TV Cable Rewired -New Windshield Wiper Assmebly -Generator Tune Up -New Starter -Steering Stablizer ($800) -Replaced Ceiling in Bedroom Reasonable offers will be entertained. Stock #140399 Well Equipped with Low Hours! 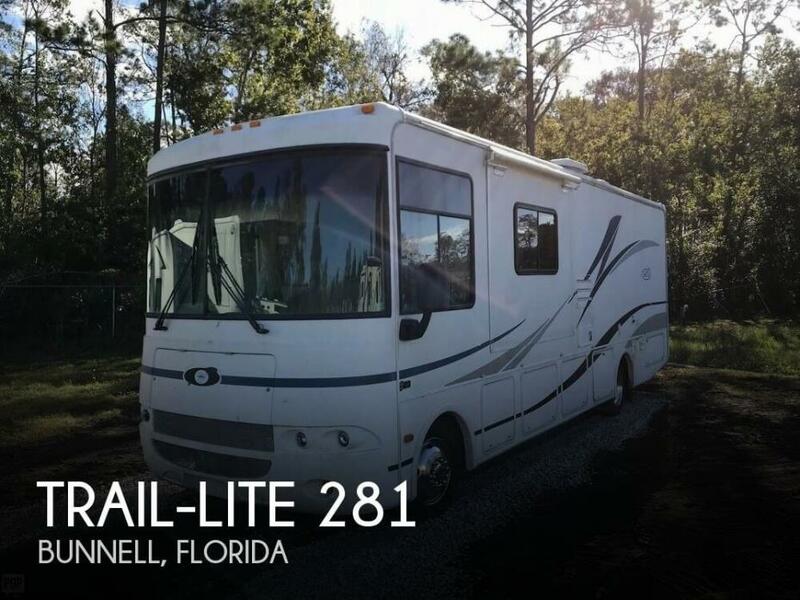 If you are in the market for a class a, look no further than this 2004 Trail-Lite 281, just reduced to $22,500. 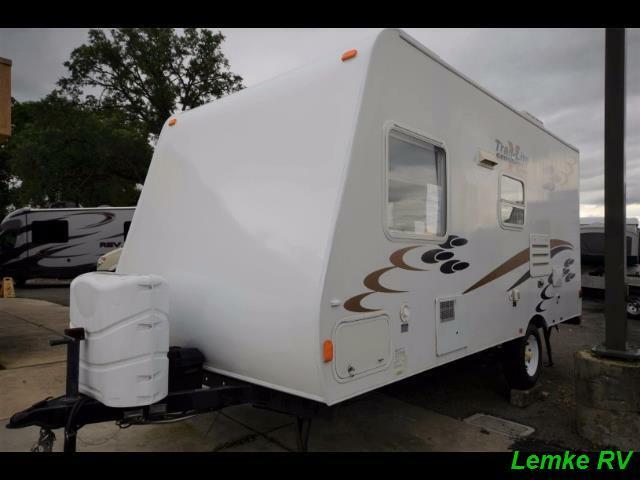 This Class A is located in Palm Coast, Florida and is in good condition. She is also equipped with a General Motors engine that has 27,600 miles (as of August 13). Reason for selling is not using enough to justify keeping..
Stock #171571 Well maintained R-Vision Trail-Lite, recent bumper to bumper tune-up and new tires! 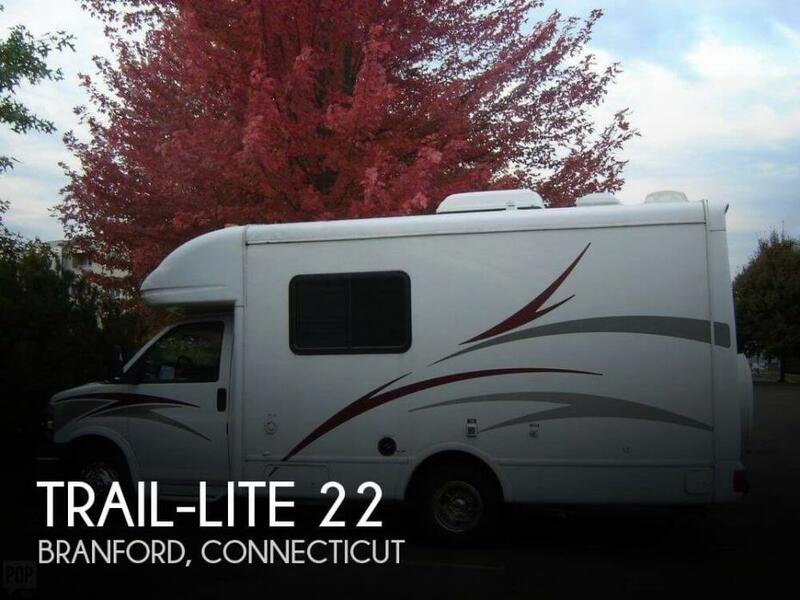 If you are in the market for a class c, look no further than this 2005 Trail-Lite 22, priced right at $22,750. This Class C is located in Branford, Connecticut. She is also equipped with a Chevrolet engine that has 109,250 miles. Maintenance records available! Known issues: - replace slide out awnings - reupholster captains chair - re-gloss storage department paint - backup camera does not work All other systems and mechanics function as expected! Sweet unit that will not last long! Please make an inquiry or call for more information, to set a showing or make an offer! 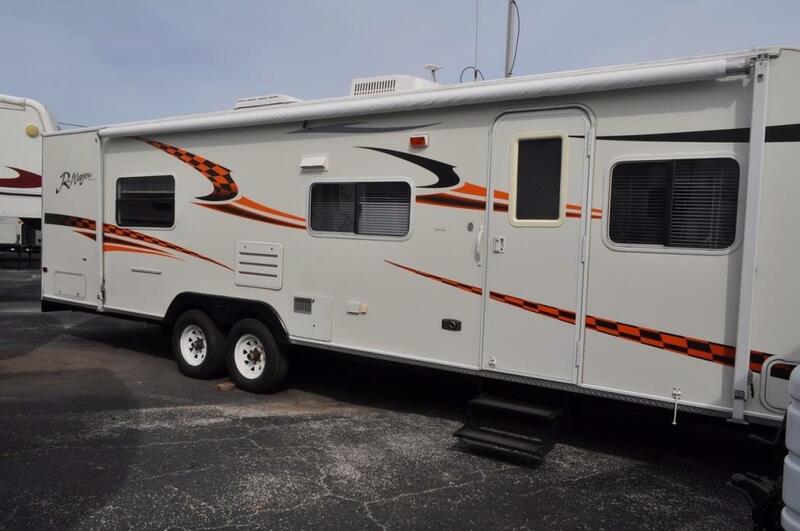 Stock #141546 32' Condor class A motorhome, Single rear axle 3 slide outs (2 in bedroom & 1 on the living room)! If you are in the market for a class a, look no further than this 2003 Condor M-1351 Coach, just reduced to $25,000. 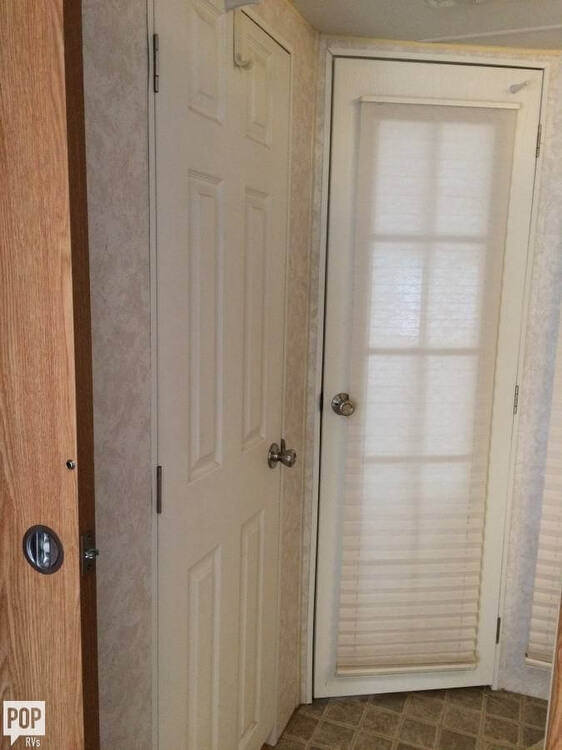 This Class A is located in Saugus, California and is in great condition. She is also equipped with a Ford engine that has 20,783 miles. Reason for selling is not using enough. 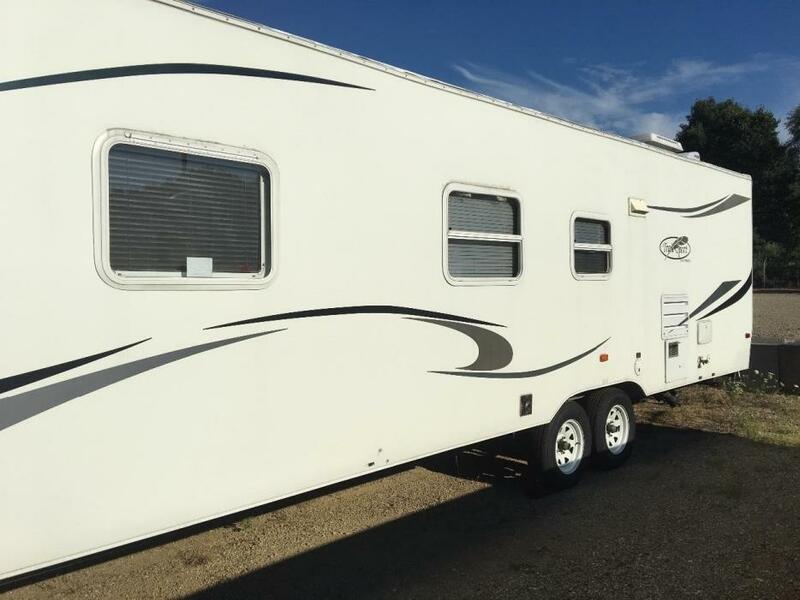 RV in great shape and very well maintained, owner indicates all systems go, with new tires put on in Feb 2018. Look closely at interior and exterior photos, you will see the condition is as mentioned in the listing description. Stock #168404 This RV was SOLD on March 12. If you are in the market for a class b, look no further than this 2008 R-Vision Sport B-Plus 210, just reduced to $29,000. 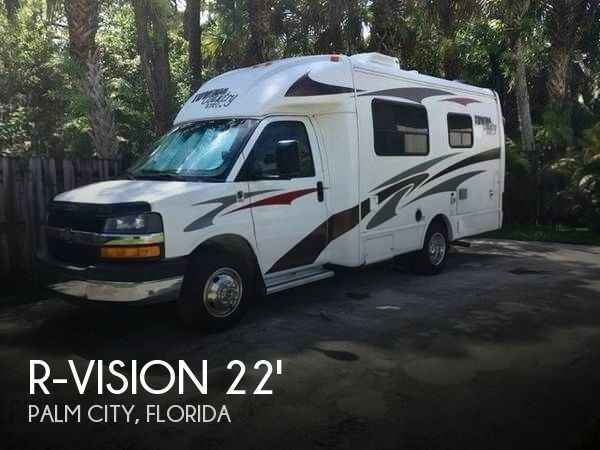 This Class B is located in Palm City, Florida and is in great condition. She is also equipped with a Chevrolet engine that has 56,033 miles (as of January 16). 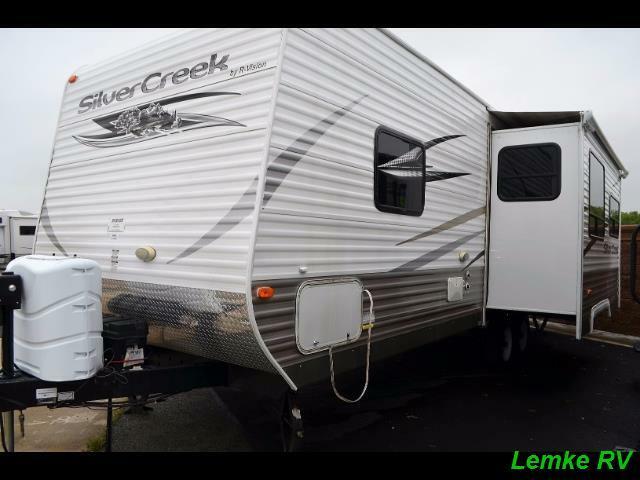 R-Vision Silver Creek 28RLS, Located at: 4410 Granite Drive Rocklin, CA 95677 (916) 259-2694 Sales Very clean, like new 2012 R-Vision Silver Creek 28RLS Travel Trailer. equipped with convertible dinette, sofa with pull out bed, fully equipped kitchen, 3-burner stove, microwave, oven, double sink, possible pantry space, wrap around bed in bedroom, with wardrobe space, lots of storage throughout the unit, and more!! Overall Length: 28' GVWR: 11,440 lbs. UVW: 6,293 lbs. Carrying Capacity: 4,882 lbs. Fresh: 42 gal. Sleeps 5 1 Slide Out All prices listed are subject to change without notice and do not include tax, licensing, DMV and other fees. All units are subject to prior sale. Length, weight and specifications are approximate. 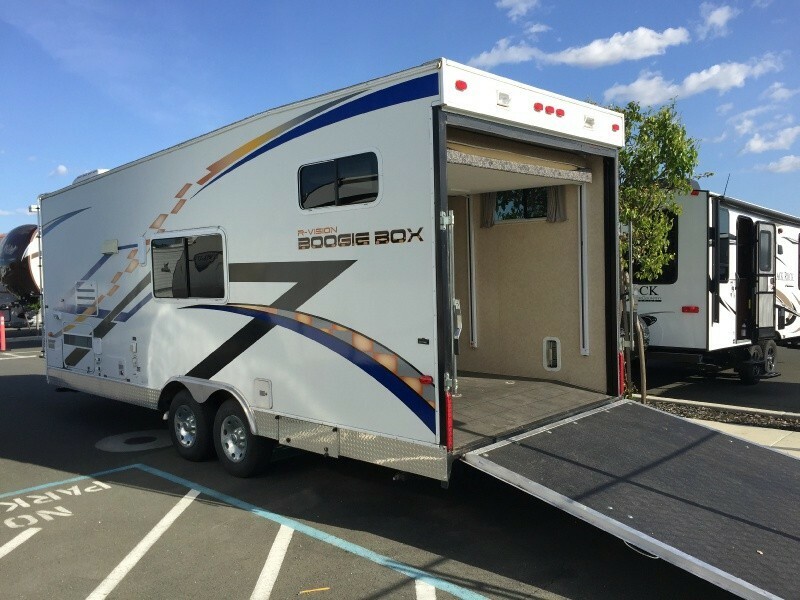 Lemke RV compiled this list of features, specifications, equipment and options as a guide. No representation or warranties, either express or implied, are made as to the accuracy of the information herein. Please verify for yourself all items listed and specifications before purchase. 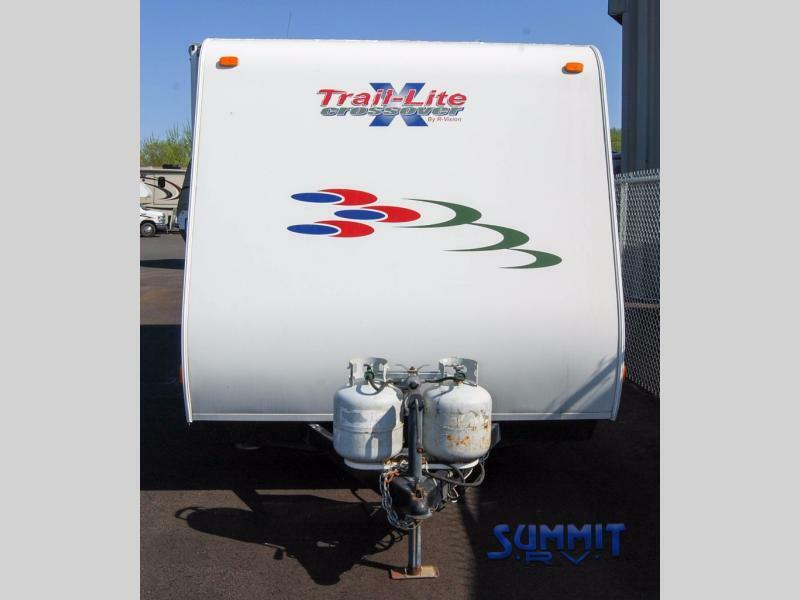 R-Vision Trail-Lite Crossover TLX-189QB, Located at: 4410 Granite Drive Rocklin, CA 95677 (916) 259-2694 Sales 2009 R-Vision Trail- Lite Crossover TLX-189QB Travel Trailer. 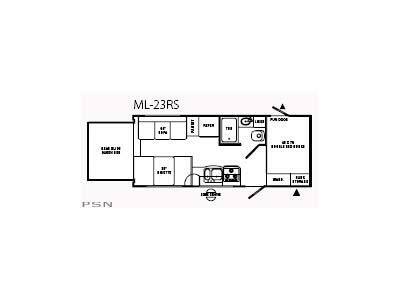 Features convertible dinette, microwave, 2- burner stove, bathroom with shower, lots of storage throughout the unit and more!! Length: 18'9" GVWR: 3,818 lbs. UVW: 2,692 lbs. Carrying Capacity: 1,126 lbs. Fresh Water: 36 gal. Sleeps 4 All prices listed are subject to change without notice and do not include tax, licensing, DMV and other fees. All units are subject to prior sale. Length, weight and specifications are approximate. Lemke RV compiled this list of features, specifications, equipment and options as a guide. No representation or warranties, either express or implied, are made as to the accuracy of the information herein. Please verify for yourself all items listed and specifications before purchase. 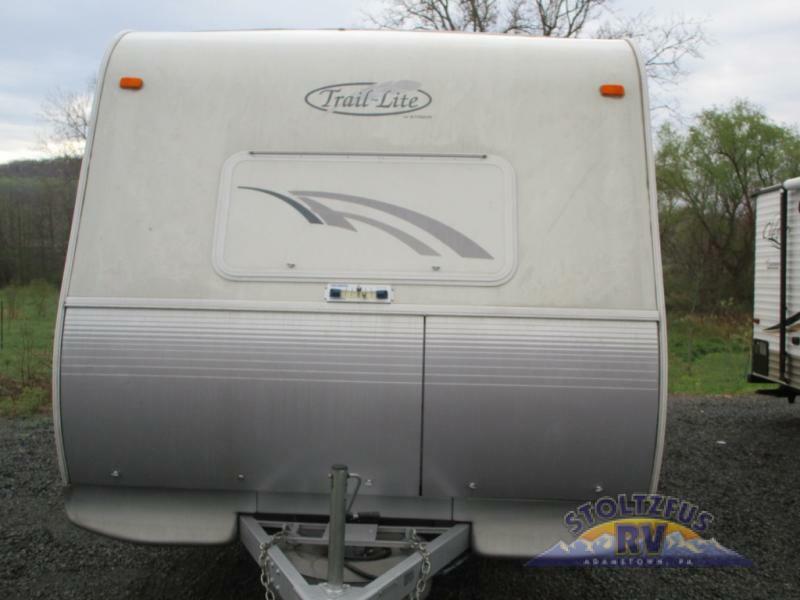 2006 R-Vision Trail Lite 8230, Rear Bath w/Closet, Tub/Shower, Refrigerator, Double Kitchen Sink, Vanity, Booth Dinette, Queen Bed w/Nightstands, Overhead Cabinet Storage & More. 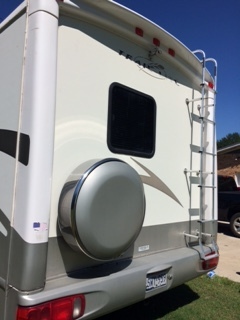 2007 R Vision travel trailer for sale. Sleeps 7-8. New features include a low distribution hitch, tongue jack, repacked bearings, new tires. Stored indoors for winters. Clean throughout-ready to go for you family on your camping adventures! 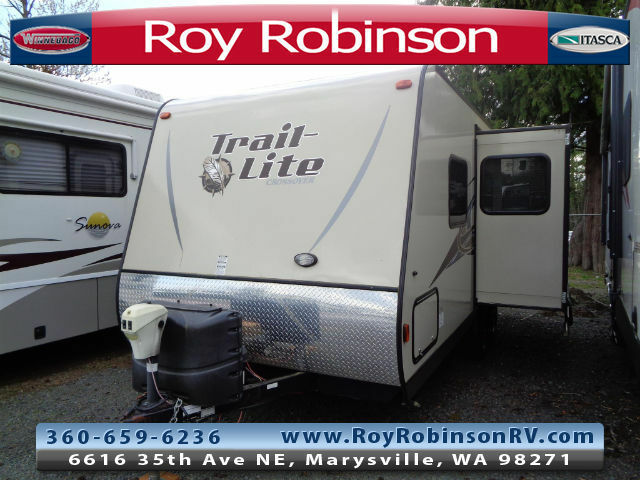 2008 R-Vision Trail-Lite Crossover TLX189QB, Travel Trailer w/Rear Corner Angle Shower, Lav., Toilet, Low Wardrobe, Refrigerator, Double Kitchen Sink, 2 Burner Cook Top, Booth Dinette, Shelf, Overhead Cabinet, Front Queen Bed and More. *Some features may be missing or unavailable on used or preowned RVs.